I participated in a twitter chat recently that introduced me to the idea of “dark tourism.” I had never heard this term before, so I was stumped by the first question: What does dark tourism mean to you? Dark tourism, according to the Institute of Dark Tourism Research, is “travel to sites of death, disaster, or the seemingly macabre,” such as to battlefields, prisons, or cemeteries. It may also be known as morbid tourism, disaster tourism, grief tourism, black spot tourism, or even phoenix tourism, I’m assuming as a metaphor for rising again after death or disaster. In academic research, dark tourism is known as thanatourism. As the world becomes easier to navigate thanks to modern travel conveniences like fast airplanes and quick telecommunications, perhaps more and more people are seeking out “unusual” places. Or, perhaps like myself, we have been travelling to these “dark” places without calling them by that name. 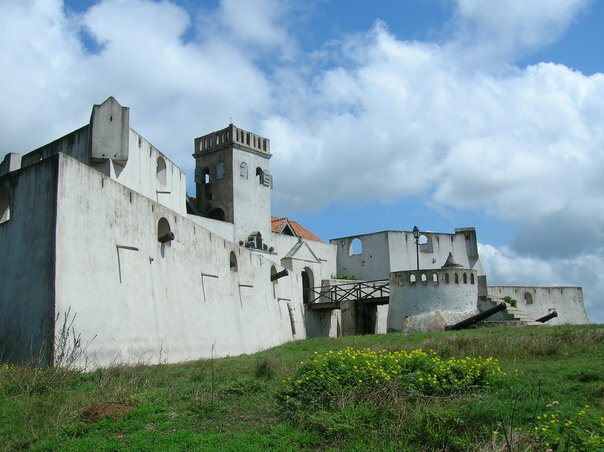 The slaves castles on Ghana’s west coast were holding spots for African slaves on their way to the Americas. Local guides can inform visitors of the tragic stories and the roles Ghanaian’s played in the trade. I went to learn more about the slave trade from the African perspective. When NATO bombed Belgrade, Serbia during the Kosovo Warin the spring of 1999, it left behind the bombed remnants of businesses, public buildings, military barrakcs, and bridges—and killed hundreds of civilians. When I visited Belgrade in 2013, I had no idea that these buildings would still be there. I went to Belgrade to visit a friend and never intended to see the evidence of war. This building was an old high school that the Khmer Rouge converted to the notorious S-21 prison. I went because I didn’t know anything about this peasant uprising in the 1970s. It is the only time I have been brought to tears at a historic site. *Note: "Dark tourist" is not really an accepted term. A tourist is a tourist no matter what the attraction or destination; there is no particular distinction made for tourists of "dark" sites.